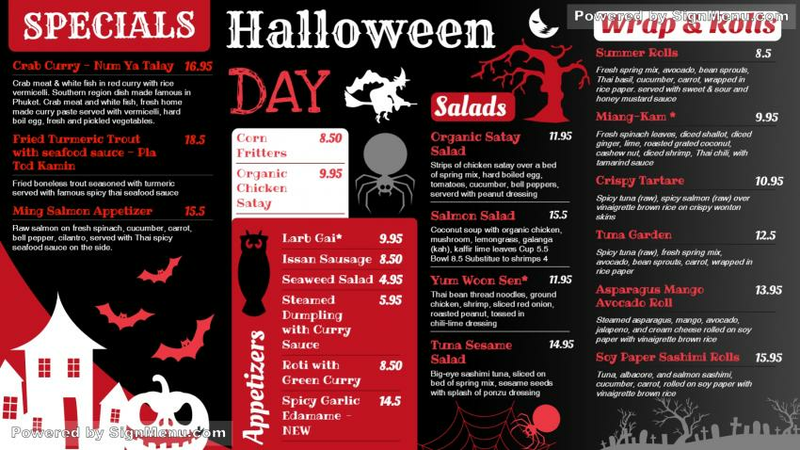 Another very vibrant Halloween menu board. The colors of black, white and red are brilliantly matched to provide the menu board an elegance along with the mood and flavor of Halloween. The menu is rightly multi-cuisine with focus on Indian varieties and American wraps and rolls. On a digital platform, this menu board will have a scintillating impact and the target audience will certainly come in.